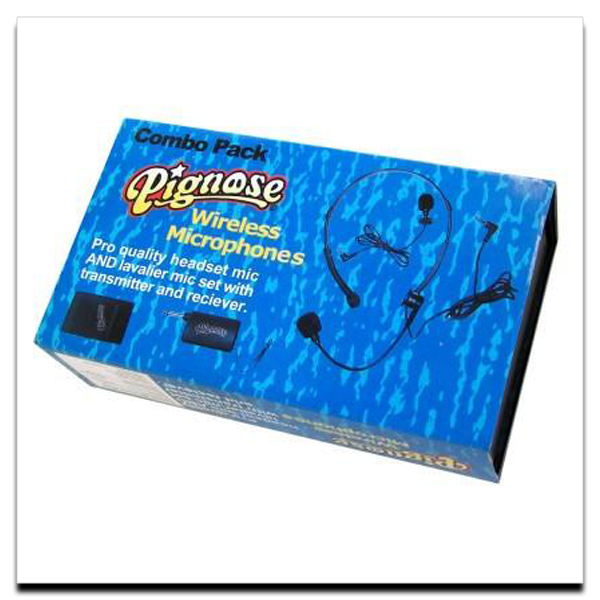 Wireless Microphone Combo Pack – Pro quality headset mic AND lavalier mic set with transmitter and receiver. 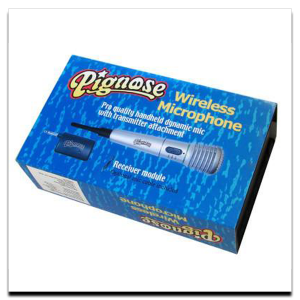 Comes with one AA and one 9 volt battery. Improved version of a Pignose classic!